Personality: Stoic would be a good way to describe him 98% of the time. Some consider him completely oblivious to the world due to him often asking questions to things that should be common knowledge to the average individual, giving others the idea that he just chose to ignore everything for 14 years. It's really him just seeking understanding about the world, and the individuals in the world. He's been seen to be well Reserved, and Calm even in situations that would cause individuals to react out of the Norm, which often causes people to think he's weird, though that's not to say that those kind of situations that would cause him to act out of place isn't out there. Val is that person that would reply with non verbal communication even when being spoken to directly, though there have been few instances while in the Academy when he have been addressed with expectations to speak, and have actually given verbal responses to the Teacher. It is his personality that kind of led him to being a Ninja. - Pro III - Memories of You: It's been 4 Years since escaping from their Hell in the Hidden Mist. The Boy and his Mother continued to travel, seeking for a place they could call home. There weren't too many of those out there, though there was one. The Land of Fire Provided a great deal of protection for it's residences as opposed to those in the other locations. The Mother took a Job as a Waitress while the Boy did little odd jobs that a kid his age could do. Slowly but surely they began building a new life together, though the Mother was not blind to the distinct difference in the Boy's behavior throughout their time running. It became apparent that the Boy was Distant from all else but her, and that even as a Jounin, it became extremely hard to read the Boy emotions, leaving her to believe that the events of the past affected him far more that she thought. To counteract this, she would put him in more social situations where he was required to interact with people and build bonds, though it failed due to most of the people were adults. Vales had extremely neutral viewpoints on life and death and everything in-between so it appeared as him doing things when requested with no form of objection nor excitement towards whatever he was doing. She figured it would be more effective if he was to attempt to socialize with individuals his age, so her attention went towards Konoha and it's Academy. It would also be good if he learned to defend himself, so she brought the suggestion up to him, in which he went along with. While she wasn't a spy, she knew it would be unwise for her to become known to the hidden leaf, so she sent her Son off there as a Boy who had been made an Orphan by the cruel ways of the world. This would mean the two of them living separate lives, but she felt like it was the only way. 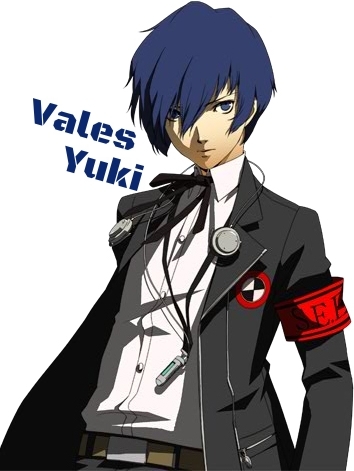 Vales was taken in by a Family within the hidden leaf and was enrolled in the academy. From time to time, the only thing that would bring about unique reactions from the Boy was situations that brought about Memories of his Friend. For the most part everything looks good. The only thing you need to do now is pick either wind or water to be your Chakra nature in order for you to get that elements innate bonus. so pick one of them to be your chakra nature, and no it's not taking away from your Yuki clan pro of being able to start with both Wind and Water, you still have them both. You only need to pick one to be your primary chakra nature so you can add in it's bonus to your sheet. Swiftness flows through this chakra, represented as Wind, it eradicates with fearsome speed and power. Fluidity flows through this chakra, represented as Water, it erodes with patience and timing.